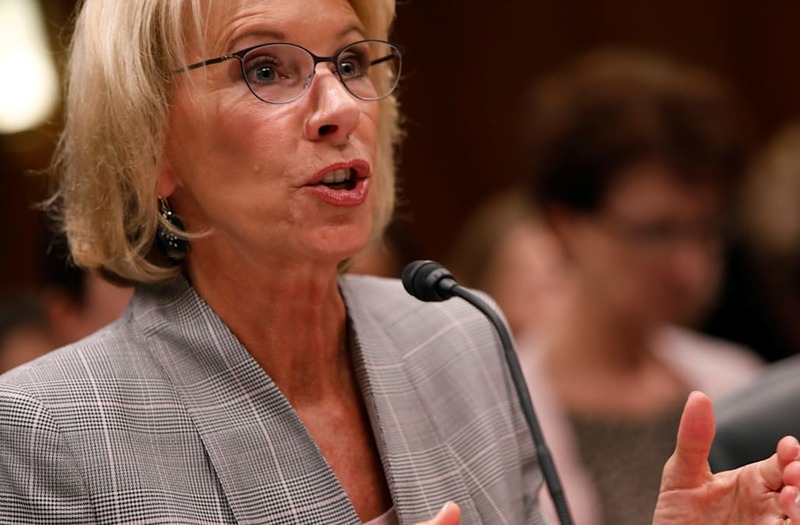 U.S. Secretary of Education Betsy DeVos announced on Thursday the Trump administration's plan to overhaul Obama-era policy relative to sexual assault on college campuses. "The truth is that the system established by the prior administration has failed too many students," DeVos said during a speech at George Mason University in Virginia. "Survivors, victims of a lack of due process and campus administrators have all told me that the current approach does a disservice to everyone involved -- that’s why we must do better, because the current approach isn’t working." The 2011 policy guidelines in question were implemented during former President Barack Obama's tenure, and pushed school districts colleges and academic leaders to actively combat sexual violence -- enforcing these rules citing federal Title IX law standards. DeVos noted many sides of the issue will be able to present their opinions on policy moving forward as the administration works on their revamp.